President Ashraf Ghani outlined his vision for a more self-reliant Afghanistan at a conference in London on Thursday as he welcomed the withdrawal of foreign combat troops after 13 years. Ghani pledged "results" from peace talks with the Taliban and stressed he would "do things differently" from his predecessor Hamid Karzai, who had troubled ties with Western countries. After agreeing to form a national unity government with chief executive officer Abdullah Abdullah in September, Ghani has vowed to build up Afghanistan's self-reliance, reducing its dependence on aid by boosting its feeble economy and rooting out corruption. "The world is not responsible for everything for Afghanistan. It is us who are responsible for everything," Ghani said after the meeting. "We are determined to do business differently." The conference came with the international combat mission in Afghanistan, which peaked at 130,000 troops in 2010, winding down at the end of this year. Some 12,500 NATO troops, mainly American, will stay on for several years to train and advise Afghan forces. Ghani hailed the move away from having foreign combat forces in Afghanistan and the continued partnership with donor countries. "Your continued support for Afghanistan... gives us the confidence that you will be standing next to us, though in a non-combat role, he said. "This transition from combat to non-combat is most welcome." However, President Barack Obama's pick to be the next US ambassador to Kabul said this week that US leaders will discuss whether to prolong the timetable for the withdrawal of American troops with Ghani when he visits Washington early next year. US Secretary of State John Kerry and Pakistani Prime Minister Nawaz Sharif also addressed the conference, promising to back Ghani's reforms. 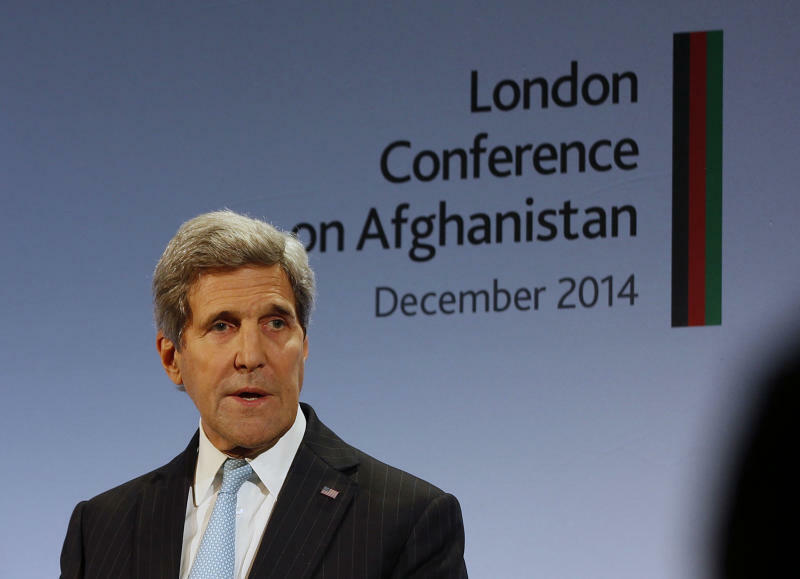 Kerry hailed a "moment of transformation" for Afghanistan. 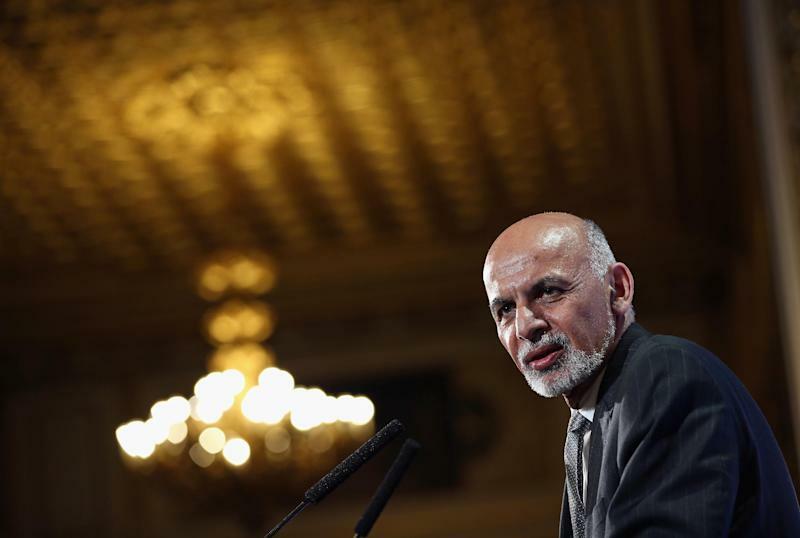 "We have a government in Kabul that merits our confidence... They can be confident of the support of the international community," he said. 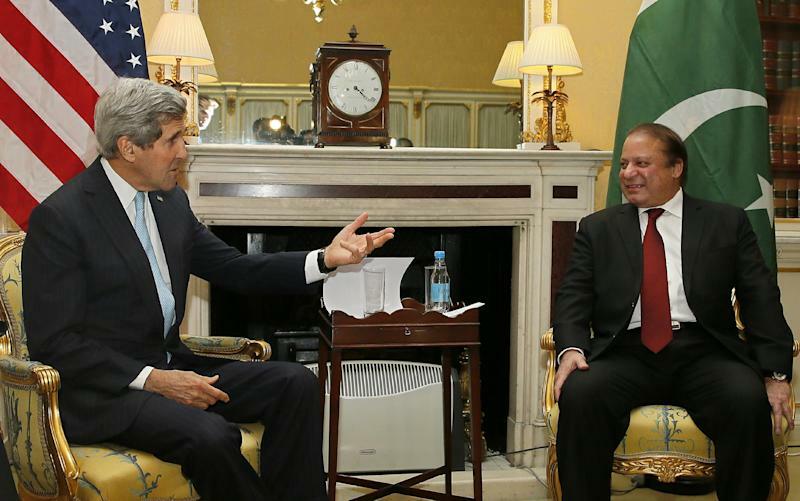 Sharif said he would work with Afghanistan to boost regional economic ties, adding that the two would take on "terrorism" as a "common enemy". British Prime Minister David Cameron, whose country co-hosted the event and will retain a training mission in Afghanistan from 2015, said it would be with Afghanistan "every step of the way". The warm reception for Ghani comes in contrast to the rocky relationship Western countries had with his predecessor Karzai, despite them pouring billions of dollars into Afghanistan after the Taliban regime was toppled in 2001. Many diplomats are now hoping to reset relations under the former World Bank economist, who has written a book on rebuilding failing states. During his trip to London, Ghani also stressed his commitment to a peace process with insurgents, saying he believed that the withdrawal of foreign troops would "change the dynamic and the narrative". "Give us the space and the time and you will see the results," he told an audience at foreign affairs think-tank Chatham House. While no new ministers have yet been appointed to his national unity government, Ghani said there would be a new cabinet within two to four weeks with four women included in the new line-up.